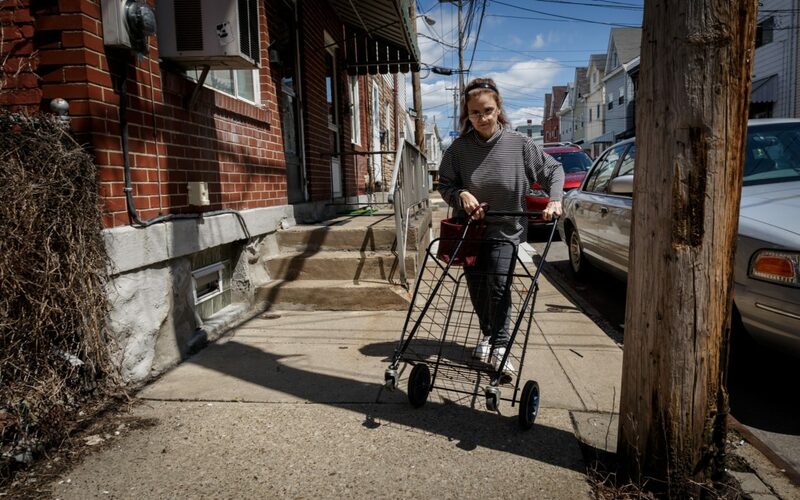 In a proposed development for the Bloomfield neighborhood of Pittsburgh, ‘affordable housing’ looks like a one-room efficiency apartment for $1,012 a month. That dollar figure concerns some longtime residents who worry they’ll eventually be priced out of their neighborhood instead of being included in its development boom. “Every house I’ve ever lived in around Bloomfield, Lawrenceville, Garfield, was torn down. They are all new townhouses now,” said Edward Conoran, who, at two years from retirement, pays a rent that he considers affordable on his maintenance worker salary. His landlord, however, has listed his Penn Avenue apartment building for sale. Once it sells, Conoran thinks his chances of affording a new place in Bloomfield are low. Leaving the neighborhood would be a big, inconvenient change; he said he’s lived in his apartment for 37 years and walks to work. At meetings hosted by the Bloomfield Development Corporation in recent months, Conoran and others have raised concerns about affordable housing and the future of the community’s assets and character. These concerns have been shared across the city as housing costs go up — some of that growth spurred by an influx of private investors. 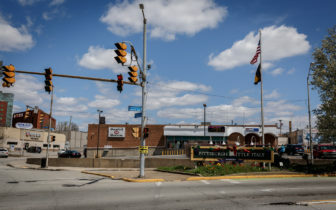 In Bloomfield’s case, the outside investor stirring anxiety among residents is Indianapolis-based Milhaus Development LLC. Milhaus plans to build a 237-unit apartment complex with a pool, gym, underground parking and retail space on the plot that currently holds the community’s main grocery store. Milhaus is seeking another grocer for the space and plans to request a zoning variance from the city to build the complex five stories tall. Milhaus has not requested its city zoning meeting yet, according to Thomas Bost, vice president of development at Milhaus. Bost told PublicSource the firm is continuing to work through options for the space with community groups as well as the offices of Councilwoman Deb Gross, who represents Bloomfield, and Mayor Bill Peduto. “We will push for a resolution that is consistent with the community's vision," Tim McNulty, spokesman for Peduto, wrote in an email. Bost said he hoped to have more information to share in a few weeks. As part of its strategy to invest in second-tier cities, Bost said, the firm also owns Arsenal 201 at 3922 Foster St., a mix of apartments and retail space in Lawrenceville. Those apartments opened to residents in late summer 2017. Bloomfield Development Corporation’s [BDC] Executive Director Christina Howell said Milhaus first approached them in early 2017 with interest in the 4401 Liberty Ave. parcel. In January, the BDC hosted a public forum with the developer present. Bost announced at the meeting that the company would donate $100,000 toward affordable housing at another location in the neighborhood. In further communication with the BDC, Bost wrote that its 37 efficiency units, at 450 square feet and $1,012 a month, would be priced to meet affordable housing guidelines for low-income households (those earning at or less than 80 percent of the area median income). The BDC cites the median income in Bloomfield as $46,000. HUD guidelines say that 30 percent of annual income should go toward housing. Based on that information, rents under $1,150 are considered to be affordable in Bloomfield. Howell, in an email, told Bost that the BDC does not believe Milhaus will earn community support for the project with small studios priced at more than $1,000 a month. Howell suggested that Milhaus price a quarter of its units at an affordable rate for households earning 50 percent of the median income (rents closer to $600 a month). Bost wrote back that it would not be feasible without obtaining Low Income Housing Tax Credits. Gross said she has been actively involved in meetings that will help to determine the future of this project and, to some degree, the future of Bloomfield. Kathleen Matejko, 54, moved to Bloomfield when she was 6. She lives near the site of the proposed development. She is afraid of the potential increase in rental costs and that she may be forced to move elsewhere. She’s also worried about the loss of the ShurSave IGA. Matejko is used to walking to the neighborhood grocery store to buy familiar, favorite items. She knows where everything is and how much it’ll cost her. Bost wrote in an email that he’s talking to several local and regional grocery stores, but has no firm commitment at this point. “Milhaus recognizes the importance of a grocery store a[t] this location to the community, and we intend to include a grocery store in our development plans,” he wrote. Still, there would be significant period of time during construction where no store would be at this site in the heart of the walkable business district along Liberty Avenue. Matejko said other area grocery stores are either more expensive or farther away than she’d like to travel. 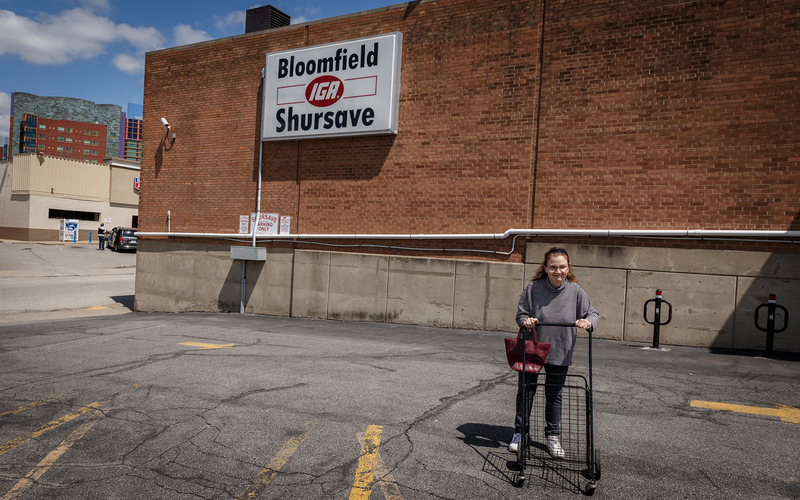 Those barriers could pose a particular challenge for the 20 percent of Bloomfield residents who are 60 and older and the 24 percent of Bloomfield residents who live below the federal poverty line, according to census and Bureau of Labor Statistics data cited by the BDC. The BDC will hold another public meeting regarding affordable housing options in the community at 6:30 p.m. May 24 in the West Penn School of Nursing auditorium. Howell said she hopes this meeting will help to answer residents’ questions about the Milhaus development and other projects. “We'll have experts come in and talk briefly about a tool they are using that preserves affordability and that we could/should consider in Bloomfield,” Howell wrote in an email. Attendees will be broken up in small groups to discuss the different strategies to retain or increase affordable housing. The Housing Opportunity Fund, created in November 2016, is one resource available to residents to help maintain existing affordable housing. Funds are designated for closing assistance, home repair, foreclosure prevention and the rehabilitation of local housing stock for use in the affordable housing market. Another option that will be presented at the May 24 meeting is the idea of a community land trust. Land trusts were first presented as a tool in the fight for affordable housing during the Civil Rights Movement. A land trust typically begins with a nonprofit organization, such as the BDC, acquiring land in the community. Affordable homes are built on the property and sold to residents who are otherwise being priced out of the neighborhood. The nonprofit leases the actual land to the homeowner for a term (usually 99 years), but retains ownership to prevent large-scale private development. Interest-free mortgages and appreciation of the property are common, so that homeowners still gain the financial stability of homeownership. Those gathered at the meeting will also consider how the community could host more projects like the Penn Mathilda Apartments, where half of the 39 units in the complex are reserved for veterans and all of the units are considered affordable for the area. The project, owned by ACTION-Housing, received funding through the URA, tax credit equity from the National Equity Fund and Low Income Housing Tax Credits from the Pennsylvania Housing Finance Committee. The Heinz Endowments and the Richard King Mellon Foundation* also contributed to developing the street-level retail space. Realtors on the BDC board help the community organization stay abreast of housing costs in the area, and they’ve been watching a sharp rise in pricing in the last year. The real estate site Zillow, which lists homes for sale and tracks sales, shows that a three-bedroom home in Bloomfield increased in value from $114,000 to $178,000 between 2014 and 2017. Realtor Sara Leitera, who has worked for Northwood Realty for 12 years and is experienced in the East End market, has seen the change in housing costs firsthand. “I'm about to list the same home that I sold just four years ago for $130,000 for $230,000,” she wrote. Leitera noted that while this is good for sellers, she is seeing the market crowd out first-time homebuyers from Bloomfield. Randall Taylor of the Penn Plaza Support and Action Coalition, and a former resident of the now-razed Penn Plaza apartments, said the market is affecting more than one demographic. Conoran, who works in maintenance at the West Penn Hospital School of Nursing, said he isn’t opposed to the Milhaus project. But he does have questions about how the community is changing around him. He doesn’t know of any senior housing in Bloomfield and questions why someone isn’t building that as well. Conoran’s search in Bloomfield will come up short, as there is currently no senior-designated housing in his community. And the senior units operated by the Housing Authority of the City of Pittsburgh in and around the East End all have waitlists. As Conoran approaches retirement age, his future is more uncertain than it has been in the nearly four decades he has lived in Bloomfield. His story is emblematic of the many residents whose options to call Bloomfield home appear to be narrowing. *The Heinz Endowments and the Richard King Mellon Foundation contribute funding to PublicSource. This story was fact-checked by Maria Rose. Meg St-Esprit is a freelance writer based in Bellevue. She can be reached at megstesprit@gmail.com or on Twitter @MegStEsprit. PublicSource will report here about notable actions and conversations from the meetings of the City of Pittsburgh’s Planning Commission. The meetings are held at 2 p.m. on every other Tuesday on the 1st floor of the Civic Building at 200 Ross Street.